XOMA Corp has been climbing in the market for the past several trading sessions, and for good reason. It all started with an announcement with regard to a Phase 2 trial. From there, investor excitement ensued, followed by analyst upgrades and positive opinions. Today, we’ll talk about the Phase 2 trial, how analysts view the stock and what we can expect to see moving forward. It is also worthwhile to mention that the Phase 1 study of XOMA 358 went off without a hitch. Ultimately, the study produced positive results, leading to further studies with regard to the treatment. In fact, the positive results of the Phase 1 study had quite a bit to do with how the stock is reacting and the positive analyst opinions we’ve seen on XOMA since the Phase 2 study was innitiated. Since the initiation of the Phase 2 study of XOMA 358, we’ve seen incredibly positive news out of XOMA. In the past 5 trading sessions, the stock has grown exponentially; climbing from $1.09 per share to $1.58 per share. Moving forward, I’m expecting to see overwhelmingly positive news out of XOMA. As mentioned above, XOMA’s first study looking into XOMA 358 was incredibly positive. With that said, I’m expecting the second study to end positively as well, acting as the next catalyst. While Wedbush’s analysis of the stock gives it one of the highest price targets, I don’t think that a $6 target on this stock is far fetched. 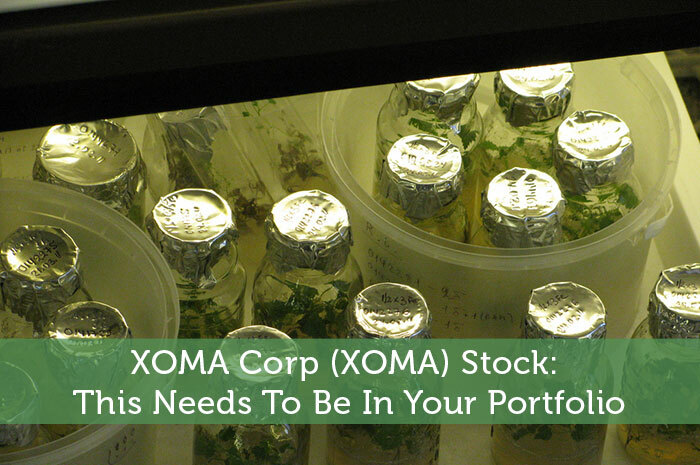 So, if you’re looking for a strong opportunity in biotech, you may want to take a look at XOMA. Where do you think XOMA is headed and why? Let us know in the comments below. Disclaimer – The author of this article holds no positions in any stock mentioned here nor plans to own any positions in any stock mentioned herein for a minimum of 72 hours. Filed Under: All Recent Investing News, All Stock Market News Tagged With: Phase 2 Study, XOMA, Xoma Corp. Yes, a with a $2.35 Price Target, XOMA is going even higher !! !